The guy in the video below is Mohammed Qahtani, a security engineer from Saudi Arabia and he recently won the Toastmasters International World Champion of Public Speaking. I found his speech motivational and I really like the message… we can change the world with words and by being kinder to people. I think we all forget just how powerful the words we use can be, and what effect those words have on others. Words have power. words are power. 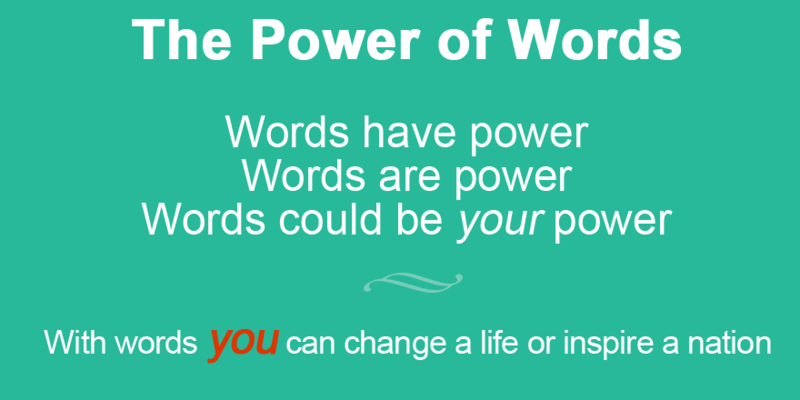 words could be your power. With words you can change a life or inspire a nation. We all have the power to make this world a better and beautiful place. Isn’t that what we all want? His winning speech is in the video below. Let me know what you think – leave a comment. Words have power. Words are power. Words could be your power. With words you can change the world. Haydon is a Local Property Expert for 99home. He is an expert at marketing and selling online. He genuinely wants to help you and provide exceptional service. Why? Because, when he achieves that, you will tell your friends about him. Haydon has been marketing and selling online for over 20 years. He has lived in East Kent all his life (cough... over 45 years.. cough), knows the local area like the back of his hand and has fantastic customer service skills. You can contact him here.